We have had two SNOW DAYS here in my little part of Kentucky. As a teacher, now I have to wonder, did I ever get this excited about snow days when I was a student? In case non educators wonder what teacher do during our snow days, I can tell you I am probably a black sheep here. My snow days, usually turn out to be crochet days. That’s right, when my housework is finished, and I’m doing grading what papers I took home, I crochet! Yes, Wednesday I was one of those crazy shoppers that rushed to Michaels to pick up some last minute skeins while the inevitable snow was falling on the roads. 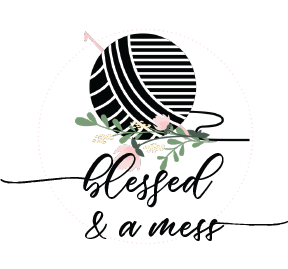 My new favorite pattern that has grabbed everyone’s attention, is the messy bun hats. I first made one for a friend’s daughter, but I had to make one for myself as well! 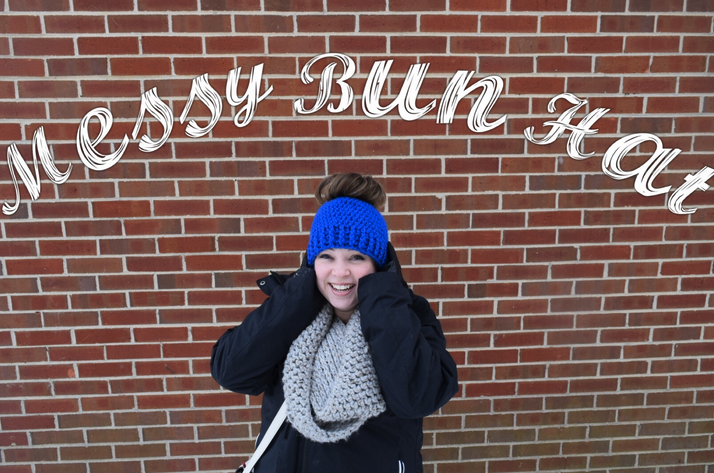 Most of these messy bun hat patterns, you can find on Etsy, however I happened to find one for free that I really enjoy! On Raverly, a crochet artist named Patricia Hamel, posted a FREE pattern that uses chunky yarn. Her pattern called, Top Knot Toque, has worked up so nice for me! I have loved making this hat so much, I’ve decided to give some attention back to Gifts by Brandi Amanda, and add them into my inventory. Keep an eye out there for colors and more coming out soon! In the mean time, stay warm, readers!